The season runs until 4 July 2015 and includes a four-part series presented by Antonio Pappano, the finals of BBC Cardiff Singer of the World and a broadcast of WNO’s Peter Pan. The BBC has launched a three-week season of programming celebrating the classical voice and the skill required to master and develop the human instrument. Featuring a host of the classical music world’s top stars, the Classical Voice season runs until 4 July and features broadcasts of documentaries, performances, discussion and coverage of the esteemed BBC Cardiff Singer of the World competition. Among the documentaries screened will be the four-part series 'Pappano's Classical Voices' presented by Music Director of the Royal Opera Antonio Pappano on BBC Four (with the first episode to be broadcast at 9pm on 28 June), and ‘La traviata: Love, Death and Divas’, a BBC Two documentary broadcast on 20 June exploring the real-life drama behind one of the world’s most popular operas presented by Amanda Vickery and Tom Service. Throughout the season, Kiri Te Kanawa is introducing her 20 favourite classical voices on BBC Radio 3’s Breakfast. The legendary soprano will also be a guest presenter on a special edition of BBC Radio 3’s Saturday Classics on 20 June. The following week the programme will be presented by soprano Felicity Lott. Opera on 3 performances during the season include Welsh National Opera’s Peter Pan (now on BBC iPlayer and to be performed at the ROH in July) and Glyndebourne’s Poliuto on 22 June. The final of BBC Cardiff Singer of The World will be broadcast on BBC Four on 21 June. Previous winners of the competition include Karita Mattila, Dmitri Hvorostovsky, Bryn Terfel, and Anja Harteros. The Royal Opera House and the BBC are partners. Find out more. What is the four part series on BBC4, presented by Antonio Pappano, and when is it to be broadcast? Thanks! The series is called 'Pappano's Classical Voices'. The first episode will be centred around the soprano voice and will be broadcast on BBC Four on 28 June at 9pm. I just wanted to say that Antonio Pappano's love for, and critical analysis of singing in this series so far, moves me as much as the superb singers he has selected. And Tom Allen should also be asked to develop a series on vocal technique. Can't say how much I loved the first 2 programmes - watched both twice immediately! As Membership Secretary of the British Mario Lanza Society, I have to praise Pappano on this this series, obviously my interest was the Tenors. Strangely enough, I shall be visiting the ROH in August for a meeting to do with the Educational side of our Society. I only found out about Pappano's Classical Voices belatedly and saw the ones on the Mezzo and Baritone voices. Both were superb. Please release the whole series on DVD or, at least, rerun it on TV. Thanks for the comment. Any decision about whether to release the series would need to be made by the BBC. I agree with a DVD of the series Pappano's Classical Voices to mark a most enjoyable and educational series. It is an attractive introduction to the opera repertoire. I second the idea for a release of the Classical Voices series on DVD, what an ideal present for Christmas it would make. Who at ROH can persuade BBC to take this on? Would love to have this beautiful series on d.v.d. 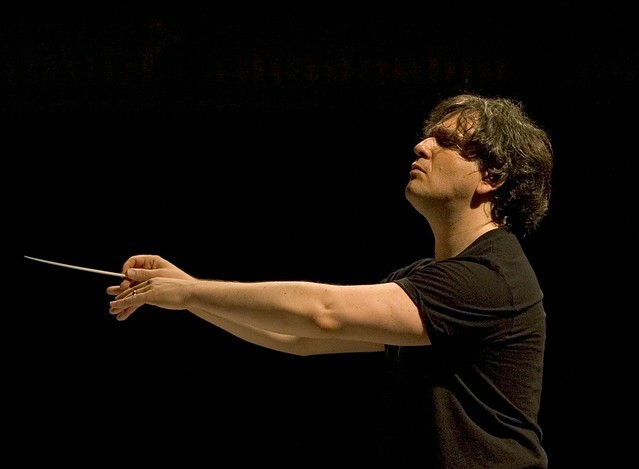 Could never tire of listening to such wonderful performances which are further enhanced by Antonio Pappano`s obvious depth of admiration and wealth of knowledge. Just watched pappanos classical voices again.Any plans for a dvd? How sad if it is not going to be readily available to all who love the singing voice. A DVD release is a decision for the BBC, I'm afraid and not something we have any control over. Glad you like the series though! Yes, please go ahead and make DVD of Pappano's Classical Voices, go on, go on, go on!! please. There are no plans to release the series on DVD at the present time, but any decision to do so would be made by the BBC. My sister thought Antonio Pappano's classical voices series was a really impressive and enjoyable must-see. It is rare to get such an enthusiastic recommendation. We missed it. It would be great if it was available on DVD - I was looking for it as a present for my husbands birthday. How can the BBC be persuaded to produce it? No DVD ? Will they be repeated ? Please . I am watching this series again, and enjoying it just as much second time around. Whom should we contact (and how) in the BBC to ask them to release it on DVD? It is so interesting and informative, and a good reference to return to time and again. I'm asking our Broadcast team about who's the best contact to ask. I'll let you know asap. I've just heard from the team that there are currently no plans to release this on DVD. We announce all upcoming releases on our social media channels and the news sections of our website. Pappano's Classical Voices is available on DVD at PremiereOpera.com. I've already gotten 2 of them.